Photographs reflecting part of what is so good about Yorkshire, Mirror mirror on the wall what is the fairest county of all? Mirror mirror on the wall what is the fairest county of all? 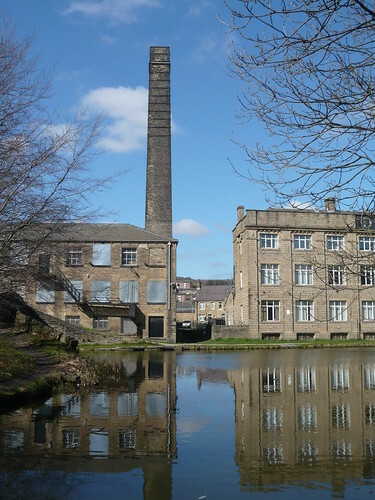 If you don’t believe it is Yorkshire why are you reading this website? 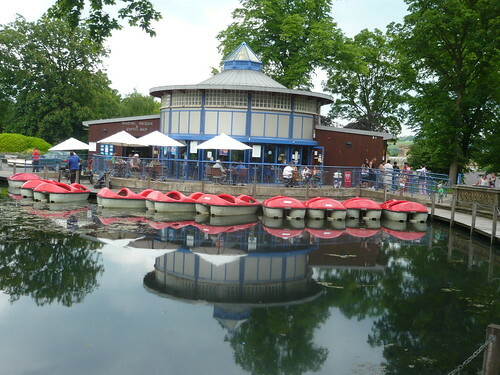 Lister Park boating lake has been restored to it’s former glory and the grub in the cafe reflects the good taste of the many customers noshing and supping. One thing about Yorkshire is the weather – we always get some! 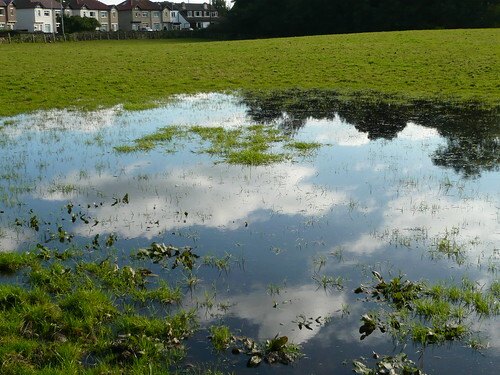 Across the fields behind Harry Ramsdens was this puddle reflecting the future puddle makers up in the sky. It may be wet wellie walking but the air is crisp and clean. Harrogate is at the posher end of the county or at least it likes to think so. 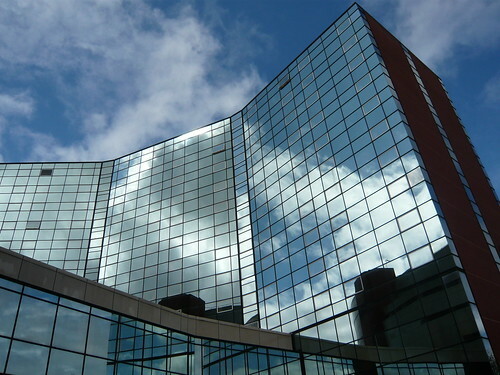 When it comes to the International Conference Centre it can rightly boast of being ‘one of the most impressively integrated conference, exhibition and events venues in Europe’ leaving other to reflect on Harrogate’s prowess. 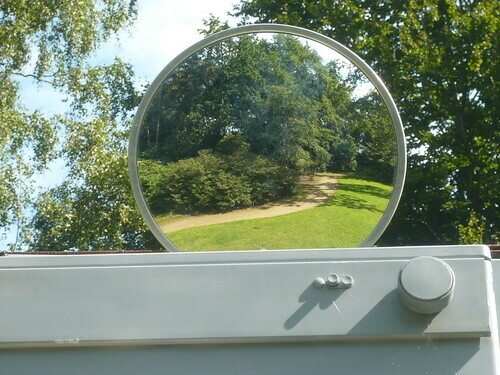 Reflecting the Yorkshire take on the humanities this sculpture is in Harlow Carr gardens taken over from the Northern Horticultural Society by the RHS some years ago. On reflection I should have photographed some Henry Moore sculpture at Bretton Park for this feature. 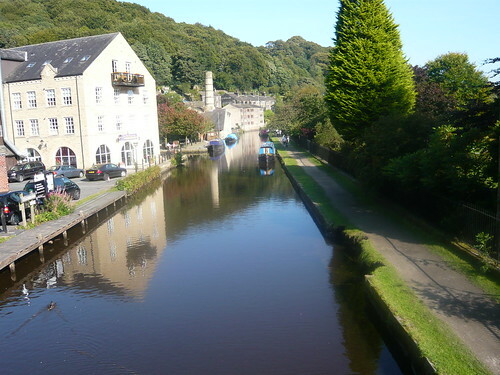 Canals feature strongly in our Yorkshire landscape and this view reflects Hebden Bridge along the Rochdale canal towards Sowerby Bridge, whilst the picture below is in Shipley on the Leeds Liverpool canal.